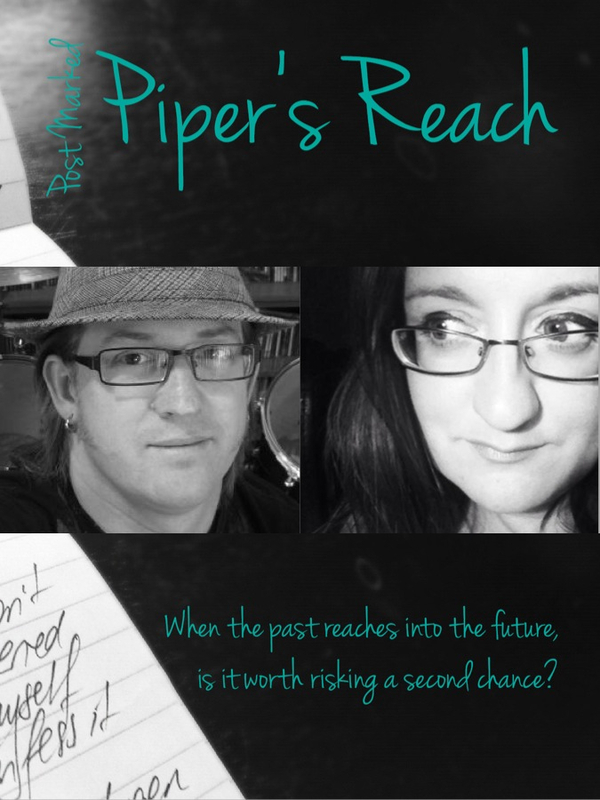 I’m feeling emotionally fragile this morning after last night’s final editing session with Adam on Post Marked: Piper’s Reach. Actually that’s a bit of an understatement. I’m emotionally gutted, made worse by the fact I wasn’t expecting this. Even though we finished writing the letters back in April and have read through it multiple times, been over the end multiple times, and apparently grieved it all… reading aloud the letters last night truly rendered me bereft. And grieving all over again. That was the hashtag we tweeted under last night. When Adam suggested it, I thought, ‘Yeah okay’. Three months had passed since we’d last been together to edit and I forgot that editing meant reading aloud. And reading aloud last night meant… reading those letters aloud: the final words of Ella-Louise and Jude to each other. The ones wrought from the depths of their heart as the realisations surfaced about who they were, what they had done and what was left to do next. Of the two of them brokering something of a resolution and believing in future, even if it wasn’t the future they originally wanted. When my voice began to wobble, somewhere around the final 20 page mark, I knew I was in for a long haul of tears. And I so didn’t want to be the first to cry, but I have a reputation as being a bit of a sook. It would have been all wrong, had I not cried first. When you write in such close creative quarters with someone, you get to know them pretty well. You get to know a little about what makes them tick, what makes them laugh, what you think will make them cry. You create characters you both love (and sometimes hate, or want to slap some sense into). You share a very intimate space. My challenge throughout the 14 months of writing was to ‘make Adam cry’. A rather noble gesture and one I took quiet seriously. And I thought I knew how to do it. Turns out I brought him to the brink several times without pushing him over. I was certain the end would do it. And when I didn’t make Adam cry the night we exchanged those final letters back in April I was shocked. In fact, I was a little incensed. How could he NOT cry? Did he have a bloody heart of stone? What I didn’t realise was Adam was incapable of expressing any kind of emotion such was the physical and emotional impact of that final letter. He walked around in shock for a week, trying to process the ending. And later we got to talk about just how it felt, began to pick it apart (if you’re writing partner can’t see the ending that’s coming, that’s a good thing right?) but I felt a little cheated. I had wanted to make him cry, like he had been making me cry across the three seasons. Turns out, it’s not such a great thing to want. It’s one thing to cry alone, another thing to cry in company. Adam said last night, that the process of reading aloud amplified the emotion. It absolutely did. It also stripped bare our reactions to the words. I started crying for the words, but then I was crying because Adam was crying and thankfully we were separated by a State, with video cams off, which at least gave us a modicum privacy with our tears. Perhaps stopped us from dissolving completely into sobbing, hiccupping messes. Well temporarily! It wasn’t like we hadn’t read it ad nauseum. It wasn’t like we didn’t know what was coming. It wasn’t like it was going to be a surprise… and yet it was. I was bowled over by just how visceral the emotions were. Of how deeply they tore through me. I knew the exact moment we (collectively) would crack. I felt a little sick knowing those words were coming. I tweeted: @revhappiness is going to say that heroes line and I will bawl. Adam’s speed slowed, his voice quietened, the pauses between paragraphs and sentences lengthened, I could hear him struggling to get the words out and then came the line and there was a very long pause as we both were consumed by emotion. Neither of us were ashamed to admit we were crying. But there was still one letter to go. I don’t know how I read it. I was so choked up. It was like I was whispering Ella-Louise’s final words for a long way away. And then it was over. There was nothing but silence. And snuffles. And more silence. Because what do you say when it is: The End? A friend told me this week that crying is being close to your soul. And last night it felt as though I lay within the souls of Ella-Louise and Jude. This morning I feel as though I’ve lost two close friends. I feel, even now, as though I could begin sobbing at any moment. While they left with each other a small part of themselves, I know they left a small part of themselves with Adam and I. It is as though I’m up on The Point being buffered by a summer storm that blew in from nowhere, but a storm I knew in my heart was coming. We created this montage as a tribute to the series and farewell for our readers back in June, but now the clip feels more like a eulogy; to friends well met and fairly parted.